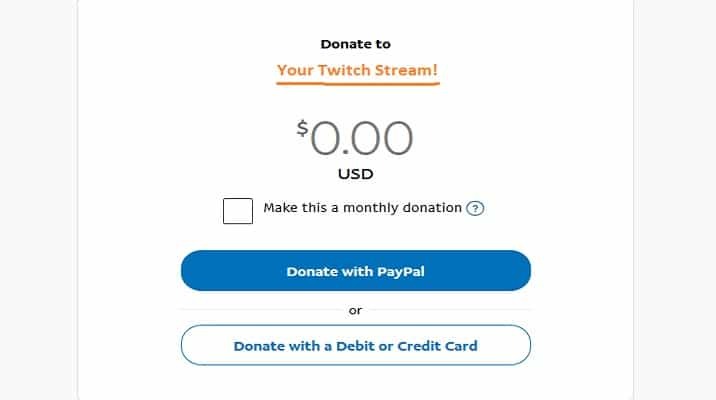 In this article, I’m going to walk you through a step by step process for how to set up a donations button for your Twitch stream. The donation button will be through PayPal, so go ahead and create an account if you don’t already have one. 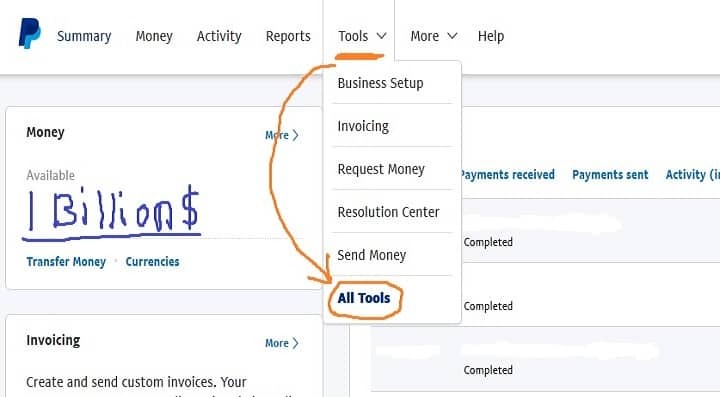 Here is what you should see when logging in to your PayPal account. From there click on the Tools tab up top to bring down the menu, then select All Tools. That brings you to this screen. Scroll down until you see the PayPal buttons then click on that. Now you’ll be at the screen where it’ll ask you what button you want to add. 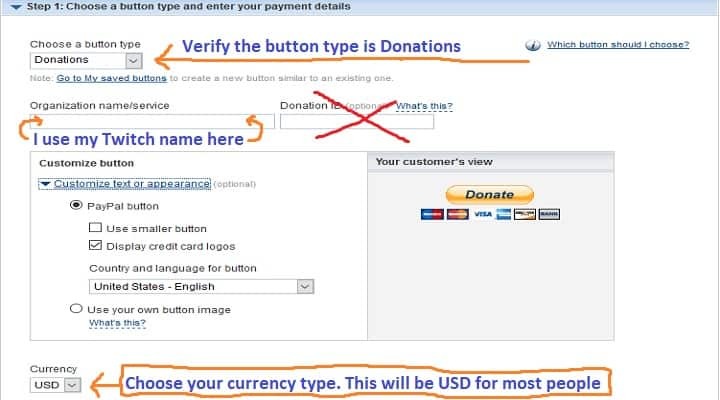 DON’T just select any button, make sure you select the one for Donate. Alright, now we’re going to fill out our information for our button (See Picture(s) Below). Even though my kickass paint skills pretty much guide you through it I still want to cover it, just in case maybe the images don’t work for some people. Verify the button type you have selected is the Donations one towards the top. Under Organization name/service you can put whatever you want. Most people, including myself usually just put their Twitch channel name. If you have an LLC company by chance you may want to put the name of that there (not sure). I don’t bother with the Donation ID. You can customize how your button looks, like if you want to show credit card logos underneath it. 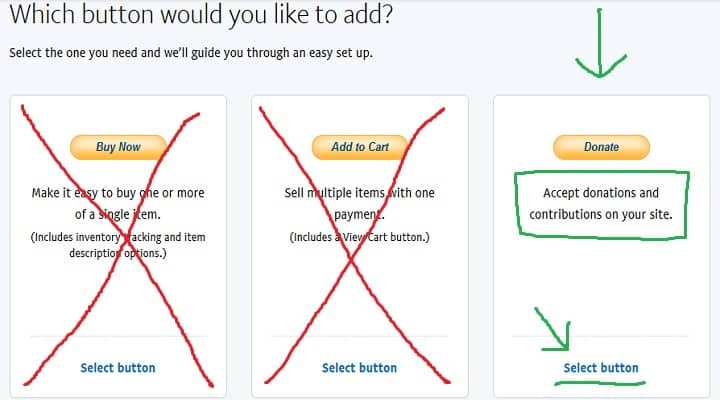 I’m going to show you how to setup custom buttons to go with your donation link later in this article. Now make sure to select the currency. This is USD for Americans & most people from other countries tend to select USD as well. Under contribution amount be sure to select where it allows people to enter their own amount. Next, make sure to use secure merchant ID option. If you select email address option then people will be able to see your email address, along with spammers scanning the internet all day for email addresses. I skip steps 2 & 3 as they are optional steps anyways. 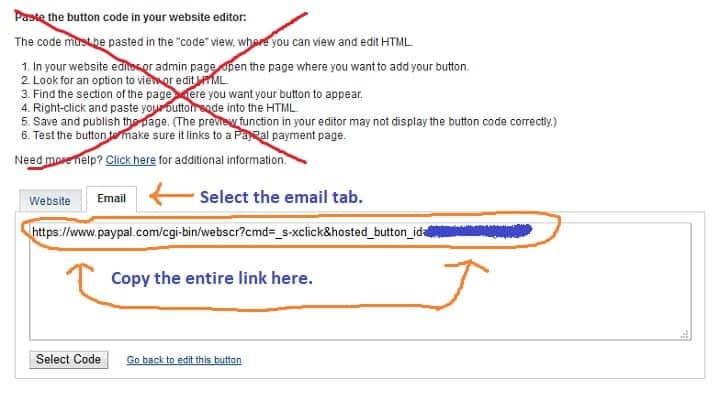 Now click the Create Button..button. Congratulations! 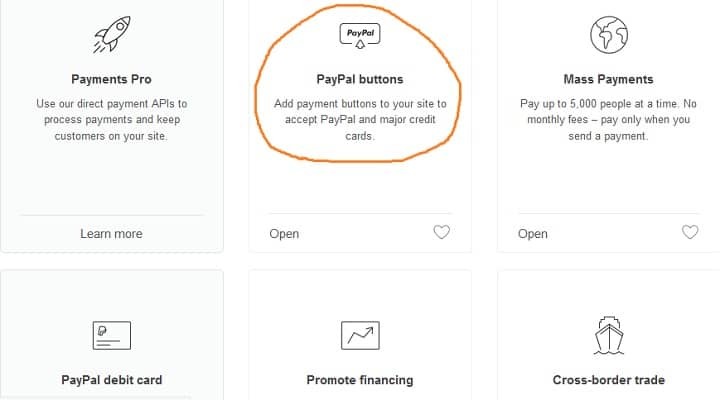 You now have your very own PayPal donation button code. 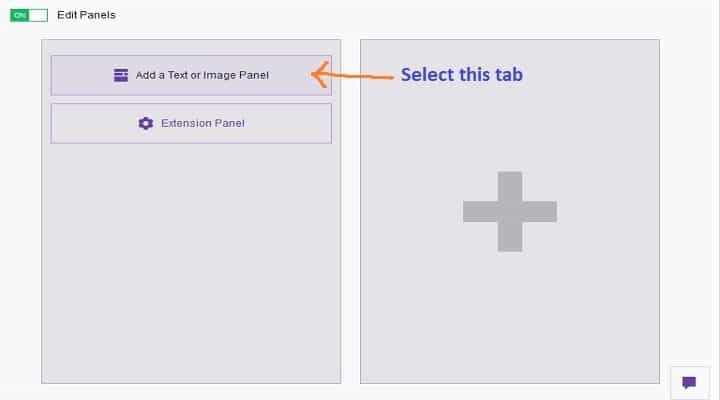 Now keep this page open & make a new tab on your browser & go to your Twitch channel with the new tab. 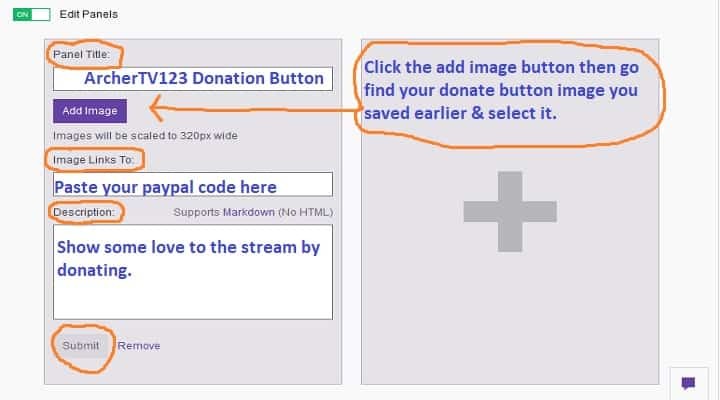 Here I’ll walk you through how to put that donation code we just created into an image & install it on your Twitch channel. First, you need to find an image to be your donate picture. If you already have a custom one created then great your 1 step ahead. For those who need one let’s look into where to find a copyright free or royalty free image for your donation button. The main point being the copyright/royalty free part. People get sued for using other peoples images all the time & I would hate for this to happen to you. So just search around the internet till you find one that you like. After you have an image downloaded to your computer somewhere, head over to Twitch. Doing this from an alt account where I don’t have anything setup on my channel so you can see it step by step. 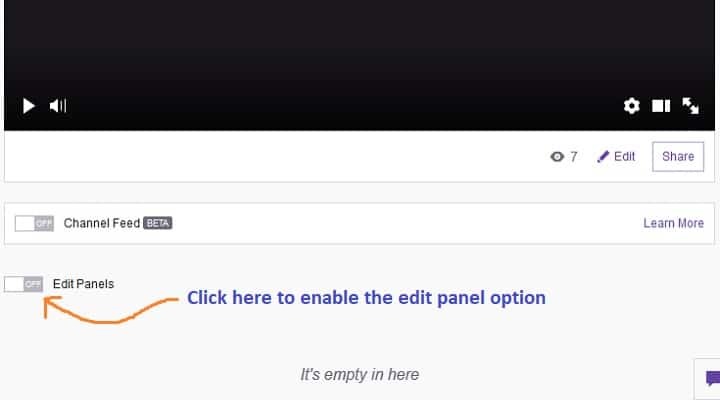 When you’re on your channel scroll down a bit & click on the edit panel option as seen in the pic below. After you turn this on click on the giant grey plus sign. Alright, we’re finally at the last part! 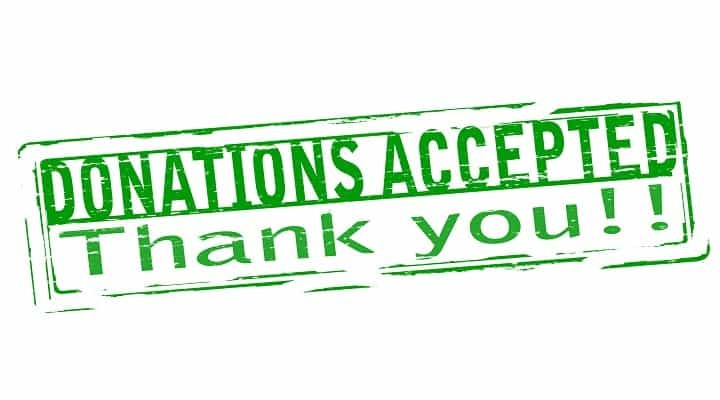 All we have to do is fill out the panel title & description (optional) & then add our PayPal donation link that we created earlier into the image links to panel. 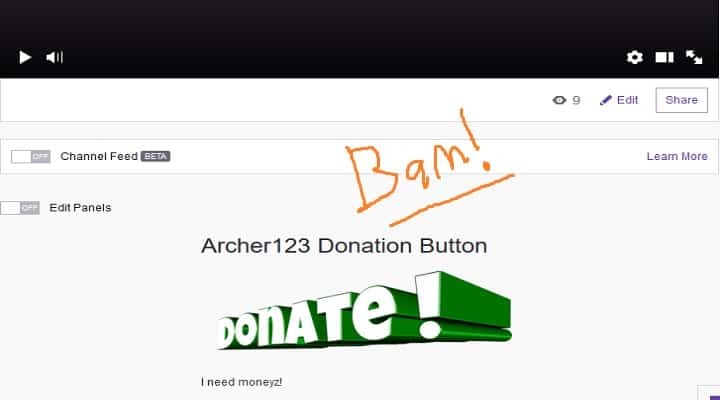 Now after we submit, then go back to your Twitch profile, you should see your new donate button! Now when someone clicks on that image, it should take them to the PayPal donation screen that looks like this. Just make sure you click your image & test everything out to make sure it’s working. 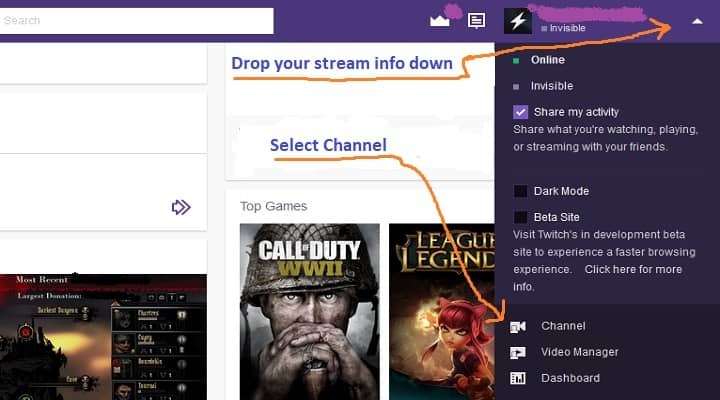 OK so now that you have figured out how to set up your twitch donation button, there are other parts to setting up your channel. This will be for a separate article that I will get into with showing you how to setup your Twitch overlays & maybe even alerts for your stream if I get the time. If you have any questions about this or comments just leave them below & I’ll do my best to respond to them as quick as possible. 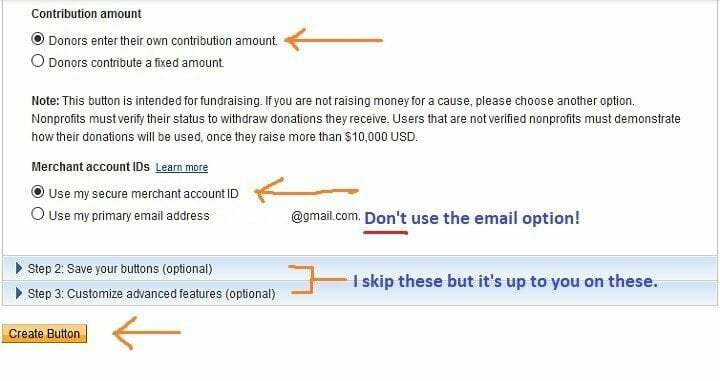 I did want to mention that there might be different ways of setting up your donation button through PayPal, I’m not exactly sure of them though. This is the method that I was taught & I that I’ve always used.